This title is not currently available for sale online. If you leave your details below we'll contact you when this changes. This is a much-needed update on a pioneering reintroduction project and its much-celebrated success. It also provides essential background and a logical and objective summary of its justification and significance in global conservation terms. It is very much a personal account, although fundamentally based upon and cognisant of the science, deriving much from the author’s own experiences and researches, and liberally illustrated mostly by the author’s photographs and drawings. 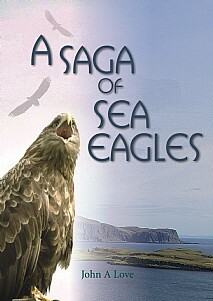 This intimate account tells all that has happened since the reintroduction of the White-tailed Sea Eagle first began and exactly how its successes over the subsequent three and a half decades have received such worldwide recognition and acclaim. It describes the pioneering Rum releases (Phase 1) with which the author had been intimately involved, summaries of the Wester Ross (Phase 2) and East Scotland (Phase 3) releases with up-to-date information on the current Irish project in Kerry. The book includes a classification of the eagles and their folklore and information about the bird’s history, distribution and biology including its breeding and feeding habits. The reader learns how the kudos of having Sea Eagles nesting locally has brought considerable economic benefit to Scottish communities, as it has in Norway and elsewhere. Sure to be of immense appeal to all birdwatchers and anyone with an interest in and appreciation of wildlife, the natural world and conservation. Since so much success was achieved since the Reintroduction Project began, A Saga of Sea Eagles will be the definitive book on this pioneering work.